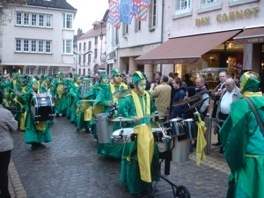 It is early afternoon on Sunday 15th November 2009 in Beaune, wine capital of Burgundy, and a gentle drizzle is falling. By rights the streets should be deserted, with all good citizens comfortably enjoying the family lunch, perhaps breaking out a runny époisses or a fragrant comté once the main course has been dispatched. But the town is thronged with crowds, the bulk of whom are congregated outside the Halles de Beaune, in the Place de l’Hotel-Dieu. Faces press up against the glass to catch a glimpse of the action inside – the ‘action’ in this case being the annual Hospices de Beaune Wine Auction, the oldest such event in the world. Above left: the bidding gets underway while marching bands entertain the crowds outside, right. It was first held in 1859, though the origins of the Hospices itself reach back across the centuries to 1443 when Nicolas Rolin, chancellor to Philippe le Bon, Duke of Burgundy, founded the Hotel-Dieu as a charitable institution for the sick and indigent, rather than simply as a hospital in the modern sense of the word. The Hospices has always been funded by gifts and donations and, since 1459, many of these have taken form of parcels of vineyard land, resulting in it now being one of the largest estates in Burgundy with over 60 hectares. Traditionally the wines have been sold off to raise funds but it was to be 400 years after the original donation before they were auctioned publicly for the first time. Since then, but particularly since the second world war, the auction has assumed near-mythic status and worldwide renown as part of Les Trois Glorieuses, three days of feasting and partying that take place around the third Sunday in November every year. In truth the party begins about a week in advance, as the world’s wine trade and press descend on this hallowed corner of eastern France for a whirlwind of visits, tastings and elaborate meals. The swarm increases as the days pass, with those who made their plans at the last minute chasing after the few remaining hotel beds. Schedules are frantic, as the Côte d’Or is criss-crossed, with as many producer visits as possible being packed into the few days. Nobody would do anything so vulgar as boast about which legendary winemakers’ doors have been opened to them but they will coyly let the odd name drop here and there to establish their credentials. And if a venerable old bottle was opened in honour of their visit that fact will be seamlessly or clumsily woven into the conversation, depending on the skill and experience of the narrator. Smiles remain resolutely in place during all this conversational shadow boxing but the odd twitch at the corner of a mouth reveals when a blow has struck home. The main topic of conversation all week, though, is the forthcoming auction, with one question paramount: What sort of prices are going to be achieved? Last year the throng was especially energised by this question, given the fragile state of the world economy set against the undoubted quality of the vintage. 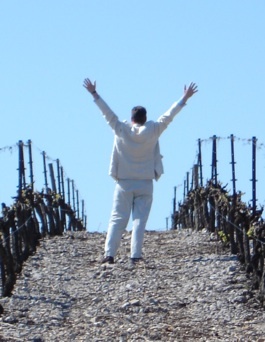 Even before the last grapes were picked word was out that 2009 Burgundy was going to be great, if not stellar. That old reliable cliché, ‘vintage of the century’, was dusted off and wheeled out again, though in truth it was a mere four years since it had last seen service. Yet talking to the vignerons at the end of July was another story. Weather-wise the month had been so-so, a curate’s egg of patchy rain and sun that left them scratching their heads and wishing for better, though not despairing. Bastille Day had seen the heavens opening for hours on end in some places but come the critical month of August the sun began to shine regularly, bringing the grapes to near-perfect ripeness come harvest time. 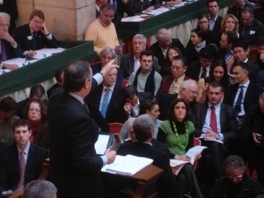 By mid-November the superlatives were groaning from over-use, yet the press conference on the morning of the auction, where doleful statistics about the effects of the credit crunch on exports of Burgundy were trotted out, did little to dampen the speculation about the results of the main event after lunch. The conference is held in the Salle des Pauvres of the Hotel-Dieu, a magnificent hall lined on each side with short yet curiously wide beds for the patients; apparently two to a bed was the norm. Splendid and all as the Salle is it is not big enough to accommodate the crowds that attend the auction so this is held in the Halles de Beaune, which sees weekly service as the location for the indoor section of the excellent Saturday market. On those occasions it is a utilitarian space occupied by butchers and fishmongers, cheese stalls and confectionary counters. For the auction, however, it is robed in scarlet: banners hanging from the ceiling, carpet covering the floor. A large dais is built at one end for the auctioneer and a host of luminaries – who were nowhere to be seen last year as the start time of 2.30 slipped by unnoticed. Then, in a rush, a scrum of people made their way onto the dais. Contained in its midst were the three presidents of the auction, each representing a designated charity and including Andrea Casiraghi, son of Princess Caroline of Monaco. There was a protracted ‘Hello’ moment as the photographers had a field day, snapping and flashing away in scattergun fashion, with Casiraghi the principal object of their attention. Amidst the mayhem the auctioneer had no choice but to get going and the first lot had been hammered down before everybody was properly seated. Thereafter things settled into a steady rhythm with spotters keeping an eye out for bids from the floor while another group manned the phones. By day’s end the event could be pronounced a success, with over €5 million bid, just a tad short of the record set in 2000. In all 799 barrels were sold, some of them for eye-watering prices such as the €57,750 paid for the Bâtard-Montrachet, Dames de Flandres, equating to nearly €200 per bottle. Which neatly encapsulates both the strength and the weakness of the Hospices Auction. It is great to see that merchants and deep-pocketed wine lovers around the world are willing to part with their cash in a good cause, but what they are buying are barrels of barely made wine still in its infancy. What is more, the wines are then moved from the Hospices winery to the merchants’ cellars for élevage (or ‘rearing’) before bottling and final sale. It is a cumbersome system with too many links in the chain to guarantee top quality and ultimate consumer satisfaction. 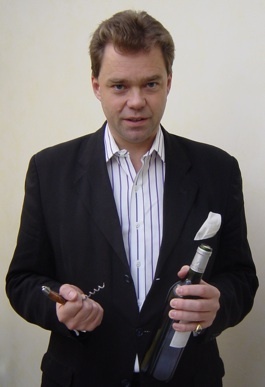 As a barometer of how the trade views a particular vintage the auction can hardly be faulted. But the Hospices label on a bottle of Burgundy is no more than a variable guarantee of quality. Every stage of production needs to be taken in-house to let these wines really shine – but don’t hold your breath waiting for that. Things got off to an impressive start in 1949 when wines of almost perfect harmony and balance were produced, the very best of which, stored properly, would still be sublime. By contrast, 1959 was a vintage of strength and vigour, meat and muscle. The summer was hot, resulting in rich, generously flavoured, wines. Neil Armstrong first set foot on the moon in 1969 and if he chose to celebrate the 40th anniversary last summer then he would have been far better off with a glass of Burgundy than Bordeaux. The latter was dismal, the former glorious. The great run of vintages experienced something of a speed wobble in 1979 but it was no disaster. The wines were of average quality; it is just that they pale when compared with the previous three ‘nines’. Abundant, succulent fruit was the hallmark of 1989, which produced a crop of real charmers, impossible to dislike. Some might say they lack a little in backbone but that is a minor caveat. With century’s end in sight 1999 produced a fanfare of its own in the form of a large, ripe crop that was immediately showered with plaudits. Many of the wines are still too young and need to soften. Let’s hope they do.